Even before the first note was played, we went into Boston Calling last weekend knowing it would be the biggest one yet. 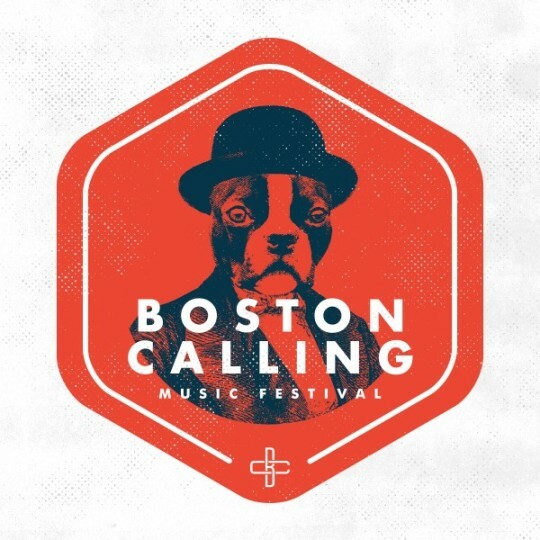 Early Friday morning, the heads of the festival revealed that this May would not only be 2016’s only edition, but also the final installment of Boston Calling to take place at City Hall Plaza. In an effort to expand the festival in both size and what it offers, this year was a bit of a trial run before making the big move in 2017. With the addition of a smaller stage tucked into the back, a handful of local music acts and comics performed throughout the day, lending a sample of what we can expect next time around – more stages, with more to see. But, hey, that’s not for another year. Another long, long, what-are-we-going-to-do-with-no-festival-this-September year. Let’s talk about this year, here’s what you missed; the Good, The Bad, and the Uhhh…. I’ll start by saying, simply, that some of the greatest performances I’ve ever witnessed have taken place over the last six weekends I’ve gotten to spend at Boston Calling. Whether it was Lorde and Childish Gambino following the monsoon that threatened to bring September 2014 to an early close, Tyler Joseph of twenty | one | pilots performing “Car Radio” from on the barricade, or HALSEY opening the afternoon last May before erupting into a global superstar within the year, there have been phenomenal moments. Now with all of that being said, three little letters put those, as well as most concerts I’ve seen in general, all to shame: SIA. Known across the globe as one of the most electrifying performers around, the 90°+ weather on Saturday was probably just an effort to balance out the chilling set that closed Friday night. Each song during the hour-long block featured unique, perfectly-timed choreography from a small array of dancers. To focus on the dancers’ age, fawning over the youth of them, would lessen how supremely talented these artists were. But, watching them captivate in the way they did, doing so at such a young age made it even more brilliant. The following two days had a big shadow to step out of, but a few were able to shine. Saturday’s opener (excluding local support Palehound) LIZZO kicked things off on a positive note, both with her performance and her attitude, advocating to the crowd about self-confidence and being proud of who you are. Later that day, CITY AND COLOUR played the role of the acoustic/folk/bluegrass performer that, in previous years, has been a slot that delivers more of a whimper than a bang. And where others had flopped, Dallas Green and Co. flourished. Sunday brought surprise after surprise and it wasted no time, with the first two performers becoming instant highlights. tearing up the same stage. THE QUEENS. Donned in white t-shirts and grey pantsuits, the small group of musicians were progressively joined by support dancers, filling the stage further with each song. Clearly things got very interesting very quickly, so when frontwoman Héloïse Letissier warned “this next one might seem a little weird,” ears and eyes perked up even further. What followed was a beautiful, soft, bilingual mashup of a French anthem and Kanye West’s “Heartless,” with Letissier clutching a bouquet of flowers, periodically letting them tumble to the stage. high of a level to wrap things up with where, she said, things started. Okay guys, here’s where stuff is about to get real. And before you get the wrong idea, I’ll preface it by saying that when I say “The Bad,” it’s not bad per se. Just, in regards to the weekend as a whole and in comparison to who truly stood out. It’s just context, so let’s get started. To break the ice, I’ll start with something that was beyond our control – the heat. Boooo. Saturday afternoon topped out at around 94°, which made for some unpleasantries in and around the Plaza. But, that didn’t stop fans from sticking around throughout the entire twelve-hour day. Thanks hugely to the free water refill stations and an alert staff and security team, concertgoers were kept hydrated and safe when things got risky. In terms of artists, there were some who couldn’t quite match the heat of the weekend. help much. After two steep rises, this was a sharp fall-off. This next one is purely opinion, and I’m sure one that a lot will disagree with: ODESZA. I, personally, don’t enjoy watching EDM sets. I like the music, but watching it performed is, much more often than not, lackluster. And this was one of those times. That’s not to say it can’t be done right; DISCLOSURE finished the weekend with a very good performance. But before that, Odesza just felt like a flop. right. Eventually, she just opted to take it out and sing without the monitor. From that point on, there was an improvement in the performance. Whether or not she got it all sorted out (I didn’t see her ever put one back in), I’m not sure, but she rebounded nicely from a rocky start. So I guess King doesn’t belong in the “Bad” section as much as it was her equipment, but hey, I had to put something here. the Ugly” thing with this, yea? Anyway, this third bit is more about the unique and the surprising, both positive and negative. Here we go. was a soft indie/folk singer, but the performance was an enormous, colorful circus of glitter and shine; it was absolutely ridiculous in every way imaginable, and that’s meant in the best possible way. that much about her music beforehand, I saw no problem with this while I was watching it – it was bright and energetic and catchy, and the crowd ate it up. Reading reviews later on, however, not everyone shared this opinion. Many were upset by the decision to not play a typical straightforward set, but judging by what I could see while she was on stage, Robyn isn’t “typical” when it comes to the way she performs. It was fun and different, and that’s what we should want from our concert experiences. Haters gonna hate. man, HAIM were flawless. Getting some help from Letissier and her dancers, the sisters had the Plaza hanging on every word, even the ones they didn’t know yet (PS, the new song is so great). with a bow. For those who skipped all of that and are just gonna read this last bit hoping for a summary, shame on you. But that’s a good idea, so I’ll concede: it was very hot and I was very cranky, if you ever have the opportunity to watch Sia, you really need to do that, and with no September festival this year, the longest seven months until May’s lineup are officially underway. We’ll see you in 2017.